Home Loan mistakes may cost very heavily on your pocket. 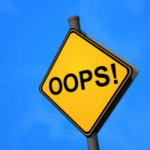 I call common mistakes during Home Loan process as a Home Loan mistakes. Home Loan is a long term commitment and many borrowers take it casually. I personally feel that whatever impacts you financially should be taken seriously. In past, i have written similar posts like 8 Ques You Should Ask Home Loan Provider. This post is different and related to the behavioral aspect of a Borrower which is equally important. Unfortunately, Home Loan mistakes cannot be corrected in most of the cases. The reason being, there is a time pressure on a buyer to close the transaction. In such cases, the only option is to LIVE with the Home Loan mistakes. A corrective action can be taken in future but again it may cost you financially and efforts from your end. The best strategy is to “Ask when in a doubt”. I hope you will find this post on Home Loan mistakes useful. In most of the cases, a borrower interact with the DSA (Direct Selling Agent) or 3rd party agents of Home Loan Provider. Even if you approach the branch directly the bank employee will route you to the DSA. Normally, a bank employee is either helping the DSA in achieving targets or commission is involved. As i mentioned in my other posts that it is good to have DSA as this guy help in home loan operational work. Now you must be wondering how it is a part of Home Loan mistakes. I have observed that just to get business these poor guys promises a moon to the borrower. Most of the times commitments from the DSA are not fulfilled and the borrower is frustrated. Therefore, it is one of the common Home Loan mistakes. Once you signed the Home Loan Application then you are trapped. To avoid such Home Loan mistakes, once you finalized the T&C with DSA you can visit Home Loan Manager. The Loan Manager should be an employee of Bank or HFC. You may discuss all the finalized points with him and take his consent. After the discussion, you should also send an email on mutually agreed terms and conditions. In few cases even bank employee back track :). Also make a point that you should never route your Home Loan through the Home Loan agent of a Builder. It is one of the biggest Home Loan mistakes. This guy will never give you a correct picture about the project. In many cases, i observed that Home Loan Borrower is fraudulently charged additional amount. It is mostly applicable in case the borrower is under stress due to timelines or his loan is rejected earlier. Another scenario is if the project is approved by very limited Home Loan providers. I will say that borrower is responsible for such Home Loan mistakes. DSA’s demand petty cash under various heads without proper explanation. In other cases, i observed that DSA demanded upfront Rs 10,000 to get Home Loan approved. Trust me DSA’s or for that matter Branch Manager or Bank Employee don’t have any role in Home Loan Approval Process. You need not pay single penny except scheduled charges for Home Loan Processing. The only exception is the petty amount for notarization of some documents. Before any cash payment, you should check why it is being demanded. This is a common problem in PSU Banks or in small cities. Again lack of awareness is responsible for such Home Loan mistakes from borrowers end. A bank or HFC bundle financial projects by threatening the borrower that his/her home loan will be rejected. To clarify, there is a separate team in Bank or HFC which undertake borrowers risk assessment and approve or reject Home Loan. If a borrower knows his rights then he will not commit such mistakes. If you face any such situation, you can immediately highlight to the Regional Manager of Bank or to higher authorities. I explained the same in my post Bundling of Financial Products is Illegal. If you buy or opt for any bundled financial product under threat then it is also one of the Home Loan mistakes as you will be paying for the same. A borrower is in a so much hurry that they sign all the documents blindly without going through the same. One of the biggest loopholes is that your Home can be collateral for other loans as i highlighted in my post, Is you home collateral for other loans?. This is one of the examples. Now you must be wondering how it is Home Loan mistakes as the agreement is standard. I agree, but the objective is that you should be aware of all the terms and conditions of Home Loan in advance. It should not be a shocker for you in future. Moreover, if you are not comfortable with any of the terms and conditions then you may check other options. Another example is of renewable home loan protection plan clause in an agreement. Therefore, you should go through each and every word before signing below the dotted lines. This is the mother of all Home Loan mistakes. Most of my clients never kept track of and demand acknowledgment for original property documents submitted with the Bank. This mistake can cost heavily if bank misplaces any original document which is very common or at the time of Home Loan Closure. One of my client Ms. Rupali Patel did not receive original Sale and Construction Agreement after she closed her Home Loan. Now, It is hard to believe that bank can process home loan without these 2 original documents. But since she didn’t have acknowledgement from bank’s side therefore she had to accept the docket without these 2 original documents. It is advisable to keep track of all original documents submitted with the bank and demand acknowledgement from bank/HFC. Though banks are reluctant but persistence is key. As the original documents are submitted in installment therefor you should always send an email to the bank as and when you deposit any original document to keep track of same. I tried to cover all important points, but the list is long. You can post your comments or queries on Home Loan in following comments section.